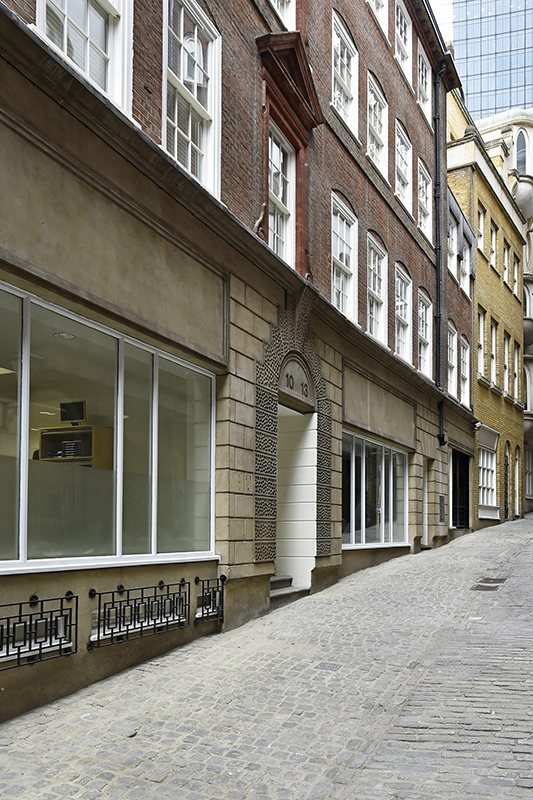 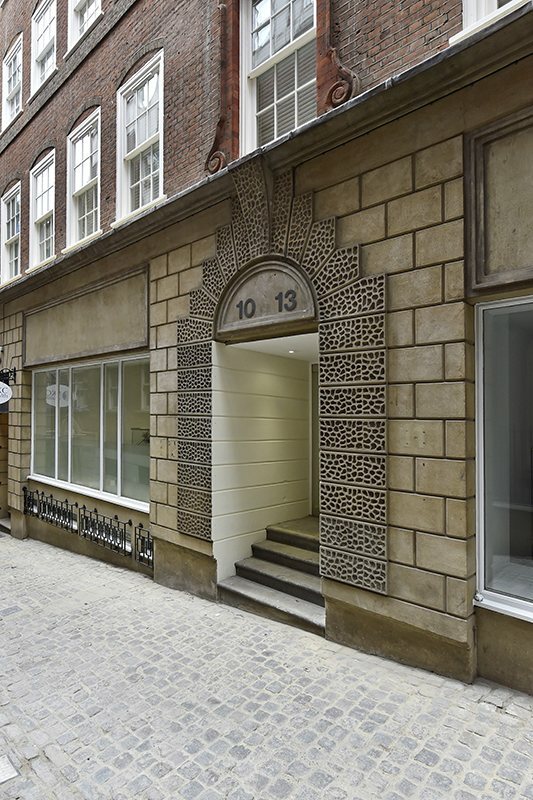 13 Lovat Lane Apartments are in the midst of London's historic City area..
13 Lovat Lane Apartments are in the midst of London's historic City area with landmarks like Tower Bridge, St Paul's Cathedral, Museum of London and Tower of London are only a short walk away. 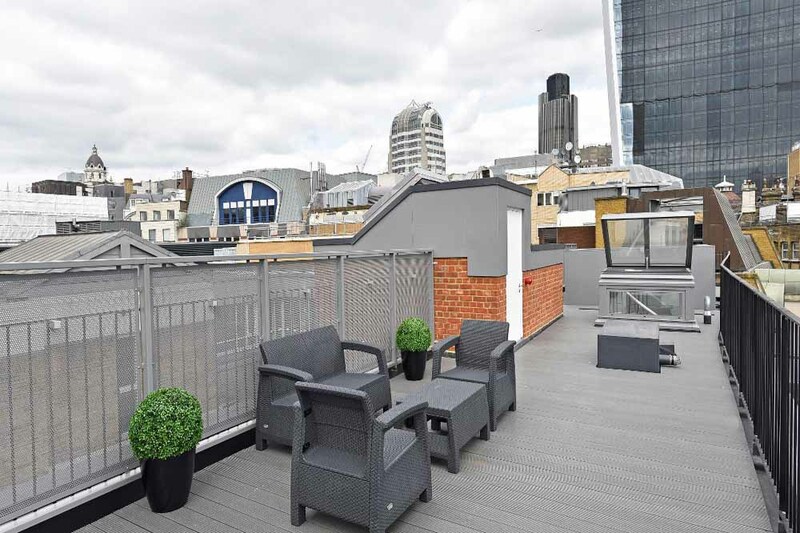 The neighbourhood is a busy commerical hub and boasts a vibrant mix of ancient architecture, modern developments, trendy bars, eateries and convenient amenities. 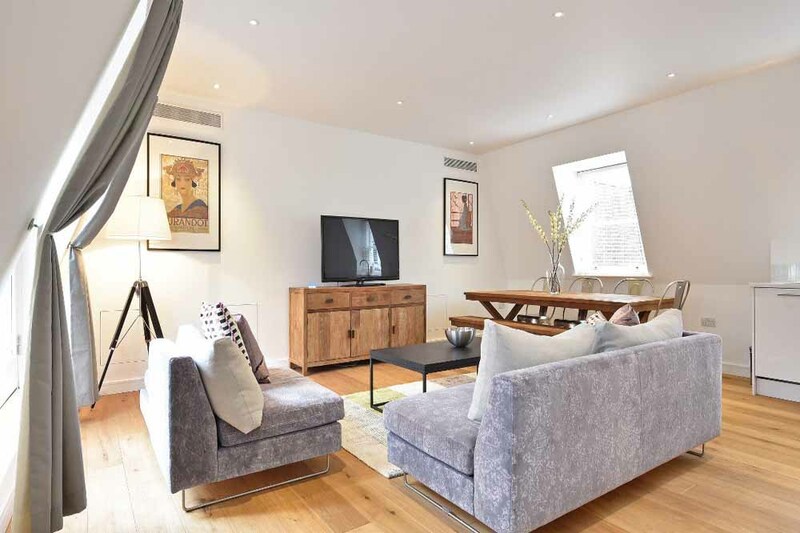 Numerous transport links provide easy connections from Monument station and the bustling One New Change shopping centre is nearby for some retail therapy. 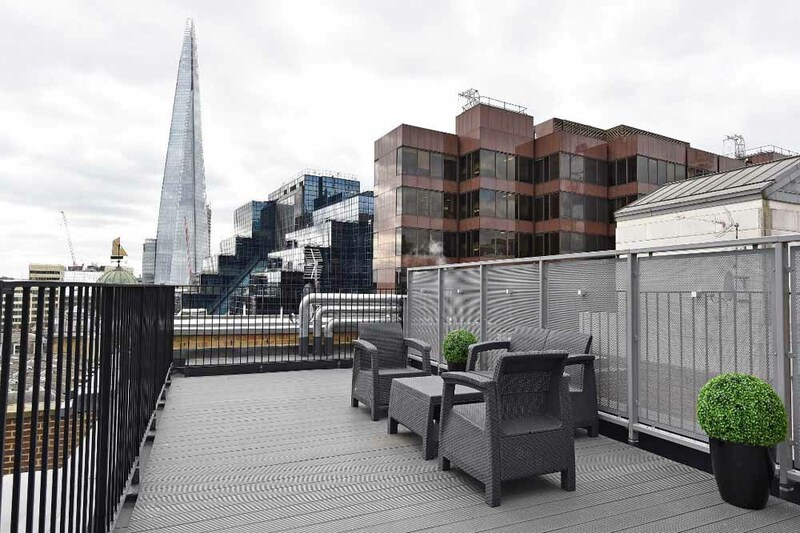 Walk along the River Thames for some breathtaking vistas of London or cross over to the south bank where you can sample Borough Markets fine delicacies or enjoy looking over London from the top of the Shard, Europe's tallest building. 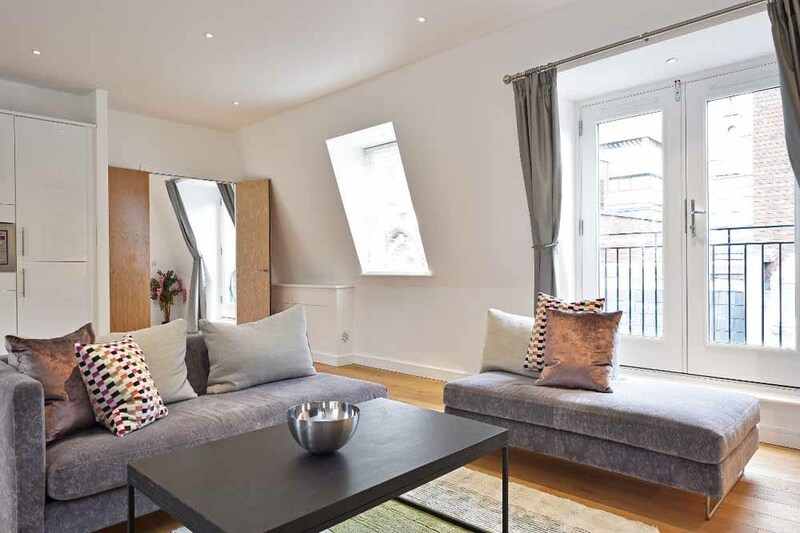 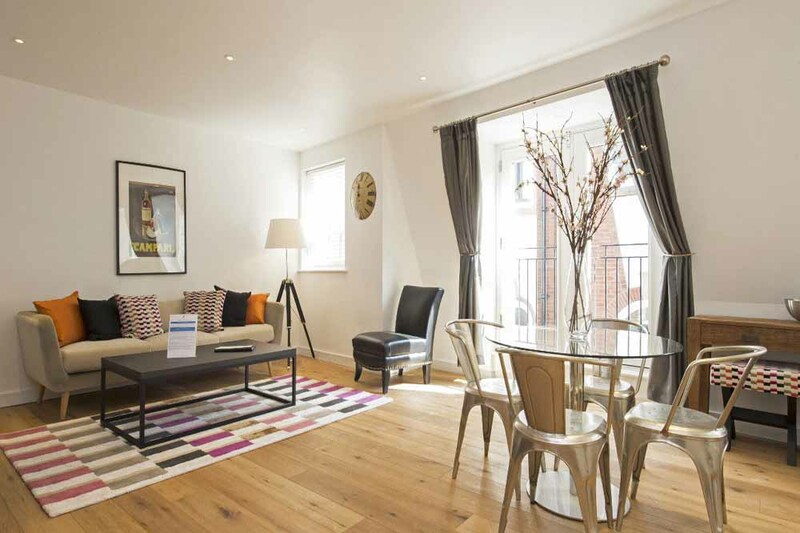 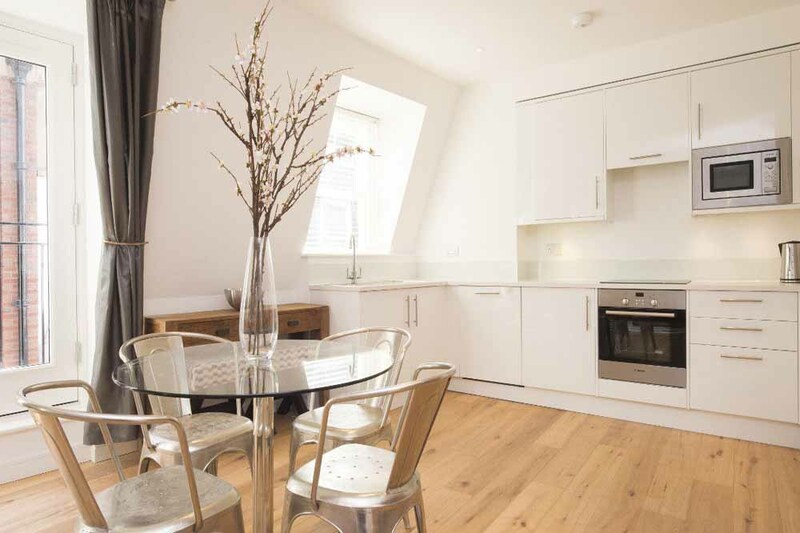 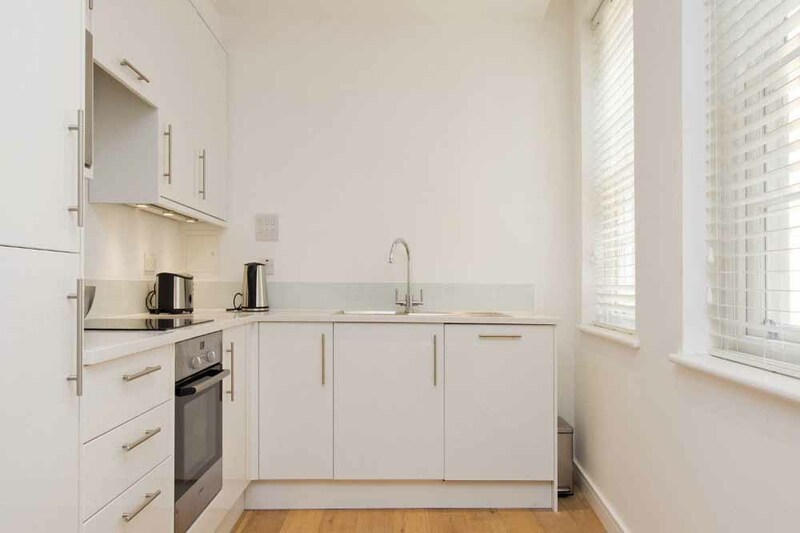 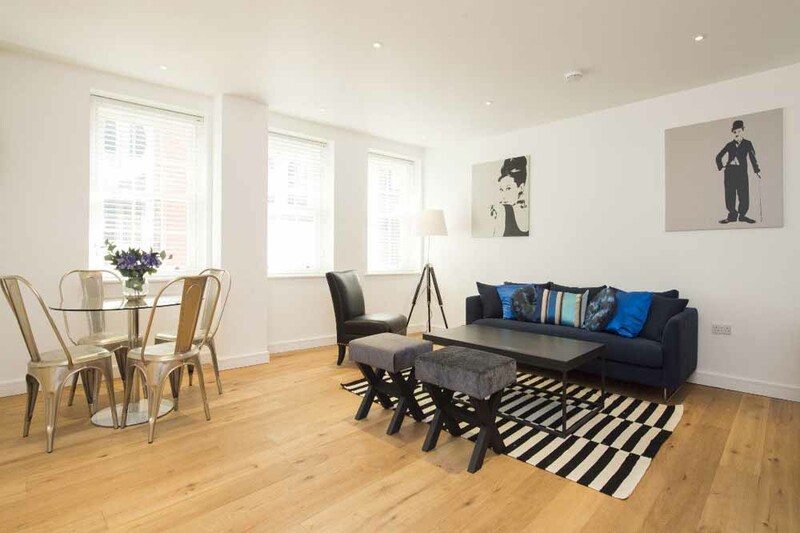 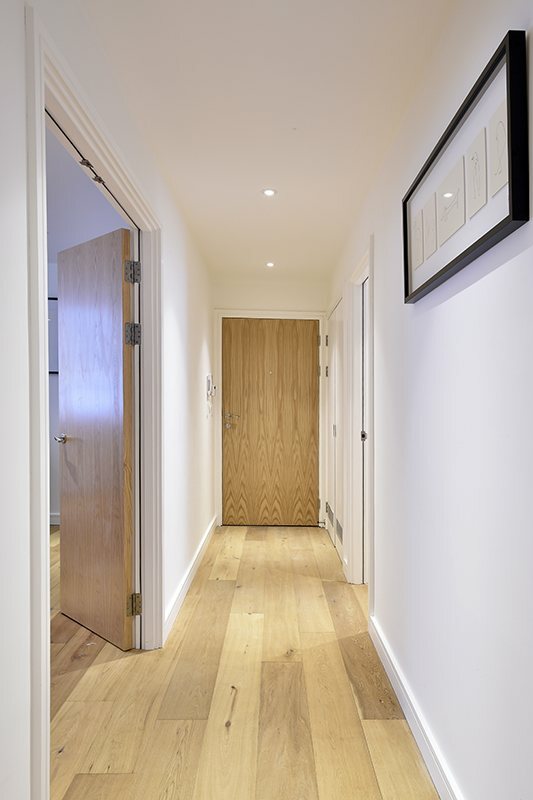 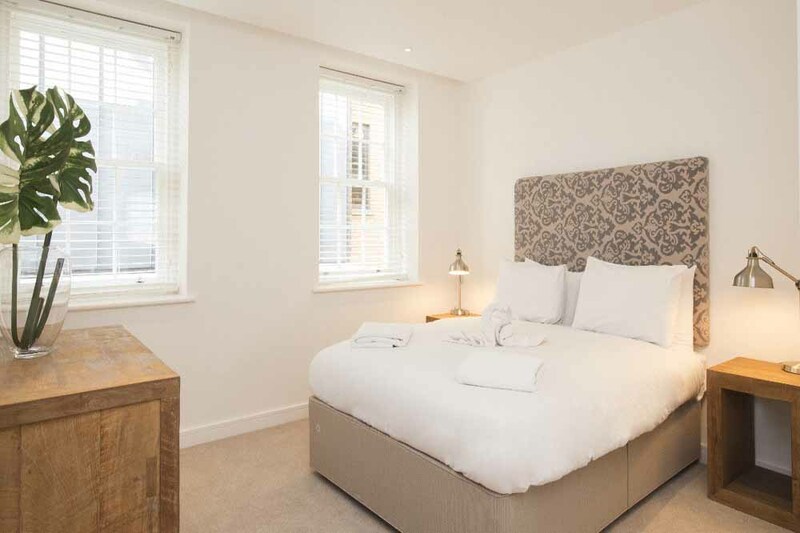 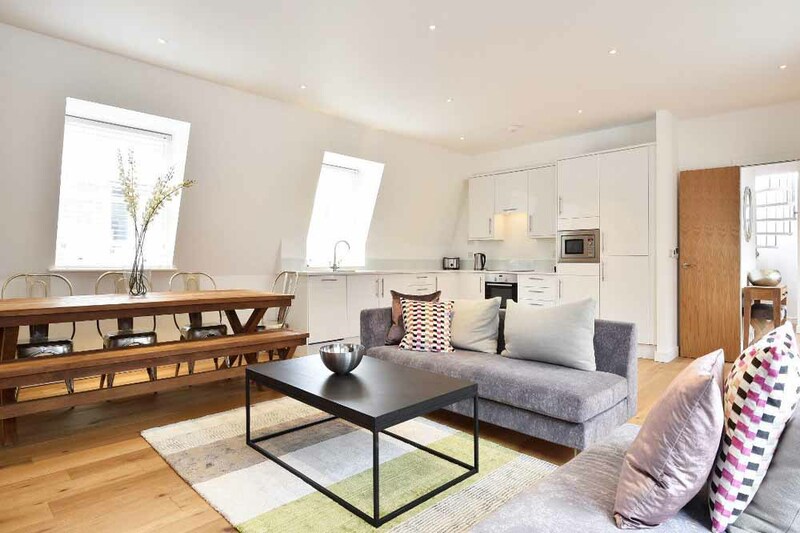 13 Lovat Lane Apartments have been recently refurbished to a high specification and are are located on a quiet pedestrianised street offering a peaceful retreat in the busy city centre. 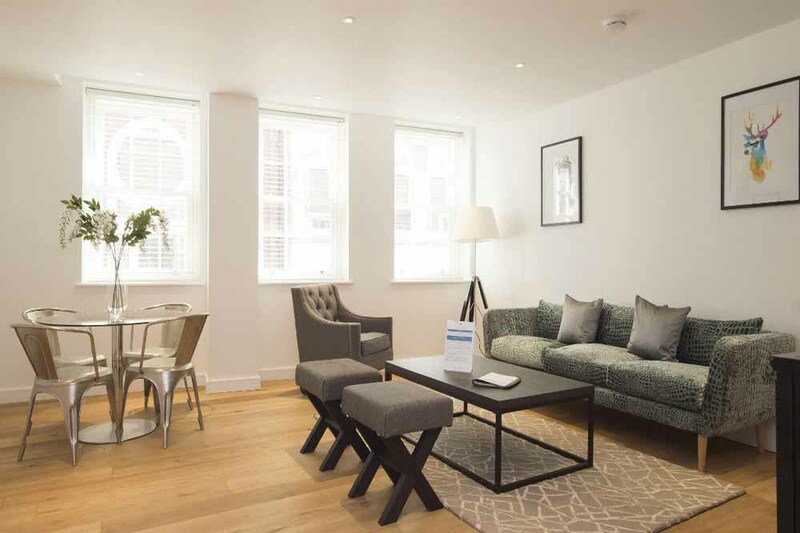 Stylish interiors and homely comforts come together to make an unforgettable modern city experience for business trips or holidays. 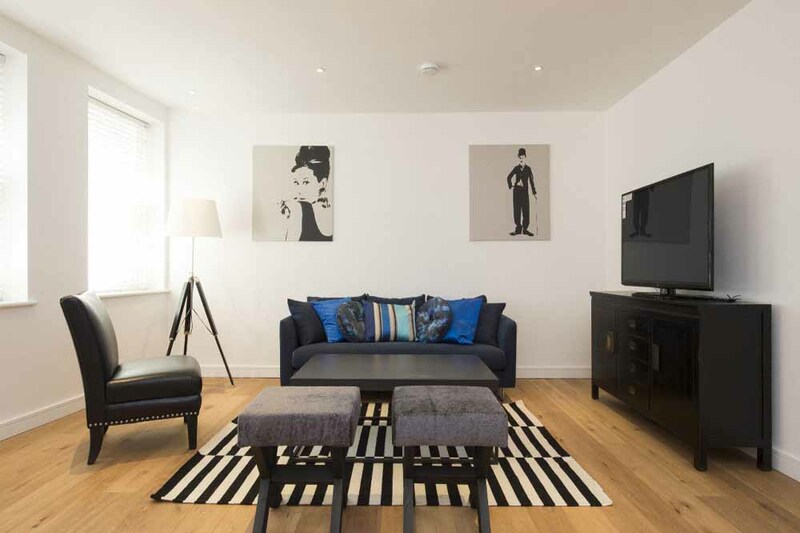 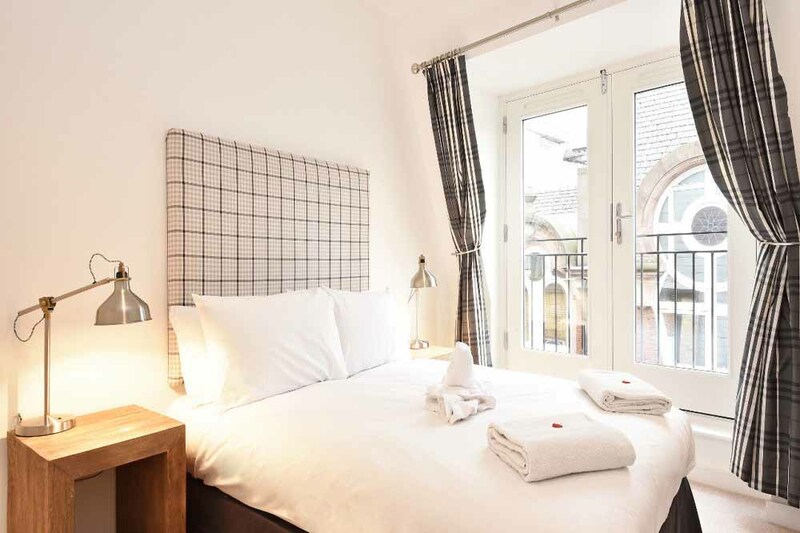 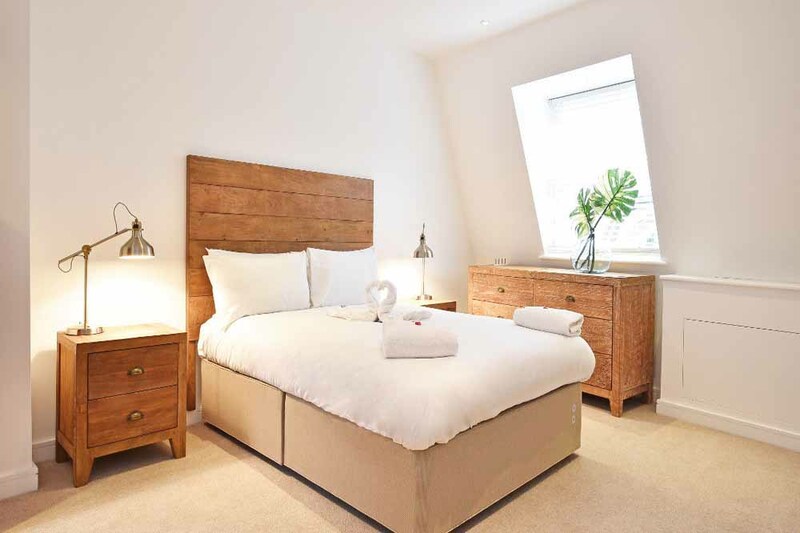 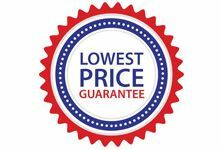 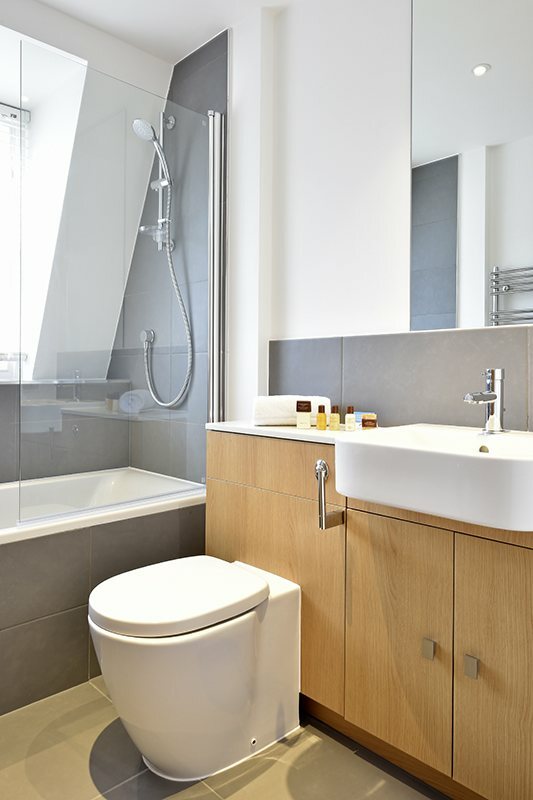 These London serviced apartments offer more space and privacy than a standard hotel room and a great range of mod-cons and amenities like free wireless internet, iPod docks, dishwashers and washing machines are included to make your stay as relaxing and enjoyable as possible. 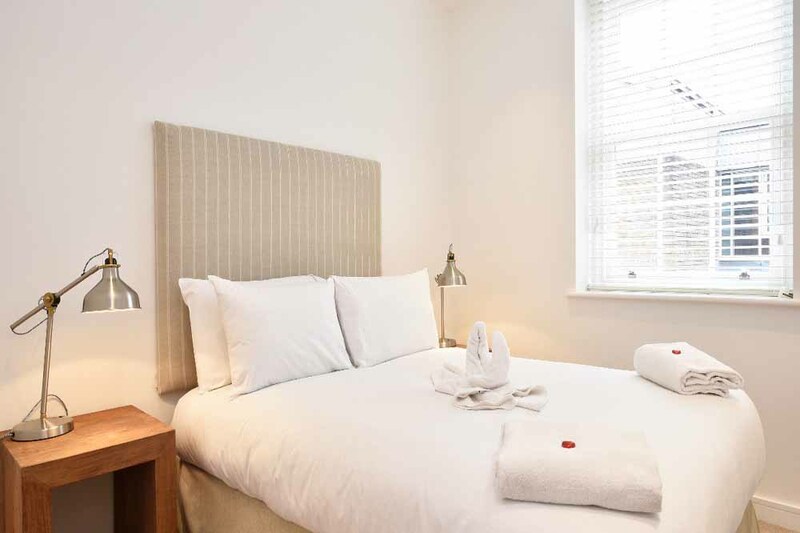 Sleeps four with two separate bedrooms, one en-suite bathroom, one bathroom, a fully equipped kitchen and a spacious living and dining area. 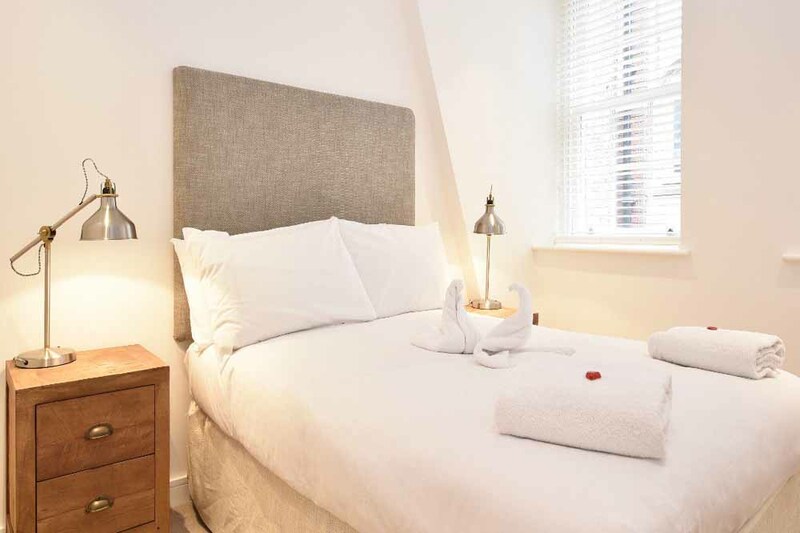 Sleeps six and is located on the top floor with three separate bedrooms, one en-suite bathroom, two bathrooms, a fully equipped kitchen and a spacious living and dining area. 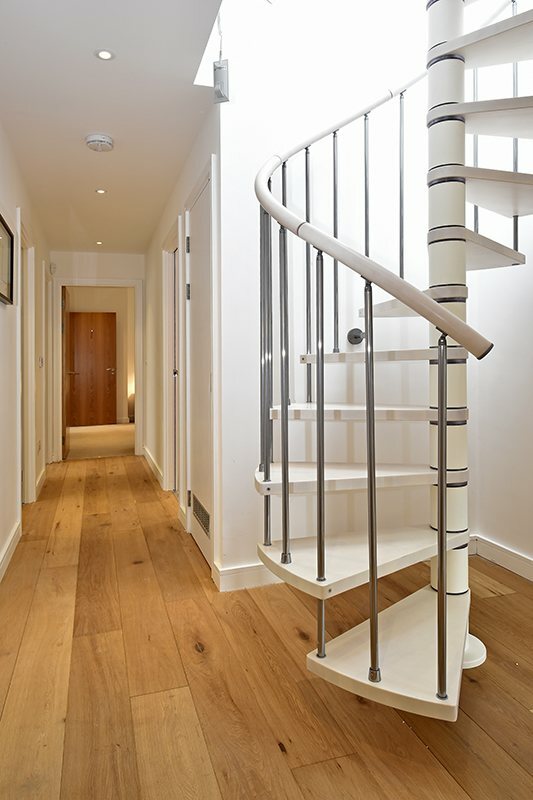 This apartment also features internal stairs leading to a terrace with stunning city views.